Flooring has come along way over the last few years, now a days, you can pretty much find any color/style pattern your heart desires and have it installed. From options like carpet, hardwood, laminate, ceramic tile and more, when it comes to laying new flooring down - the possibilities are endless! I quickly realized after having children that carpet was not our friend anymore, it works for some people but for our family I really wanted something different. The question was, what did I want? It can be exhausting to shop for flooring, I don't want to drag the entire family to the store to shop samples and I don't need a million sales guys showing up at my door pressuring me into buying their "specials". So that's where Flooring America comes in! I've worked with Flooring America before and they offer beautiful and affordable flooring options. 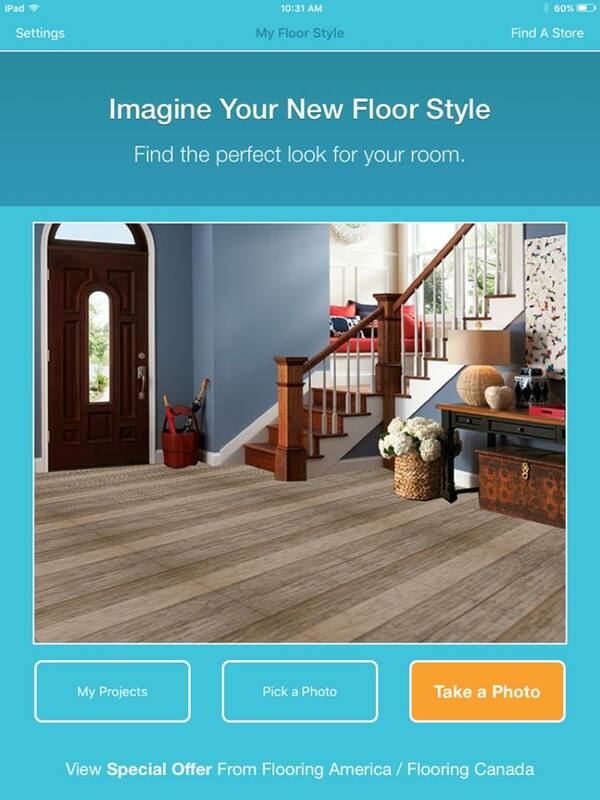 With Flooring America I can now find the perfect look for any room in my home with out leaving my home! My Floor Style let's you see what a new floor style will look like, the iPad app is available to download in the App Store or Google Play. 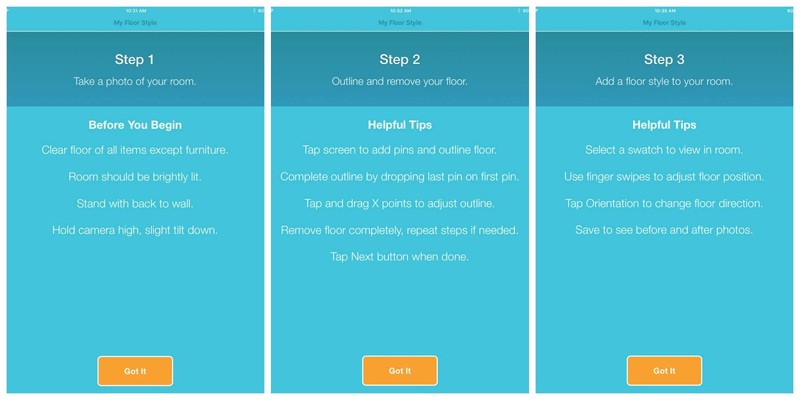 The app itself is super easy to use - simply take a photo of your room within the My Floor Style app. 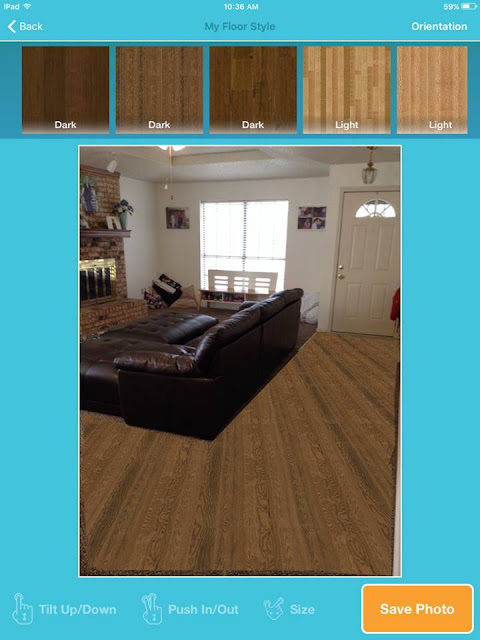 Then outline and remove your floor, next you can select a flooring category and choose from a wide range of swatches to drop the floor into your photo. With just a simple tap, you can also adjust depth, orientation and more! I started with tile and scrolled through the light and dark options, then moved onto hardwood and fell in love with the colors! This is my favorite style of flooring and it was great to see all of the different colors available. 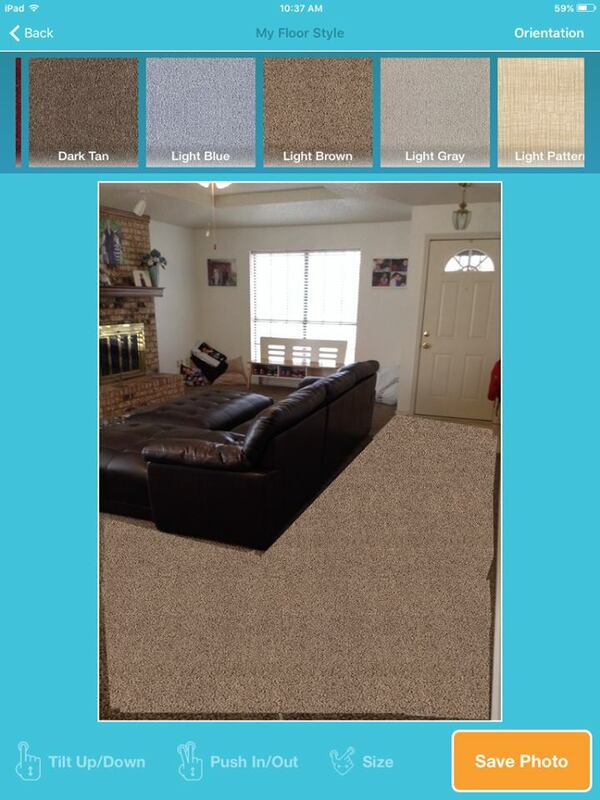 I chose the carpet swatches last, while carpet is not my favorite, I wanted to see what other colors would look like in the living area. 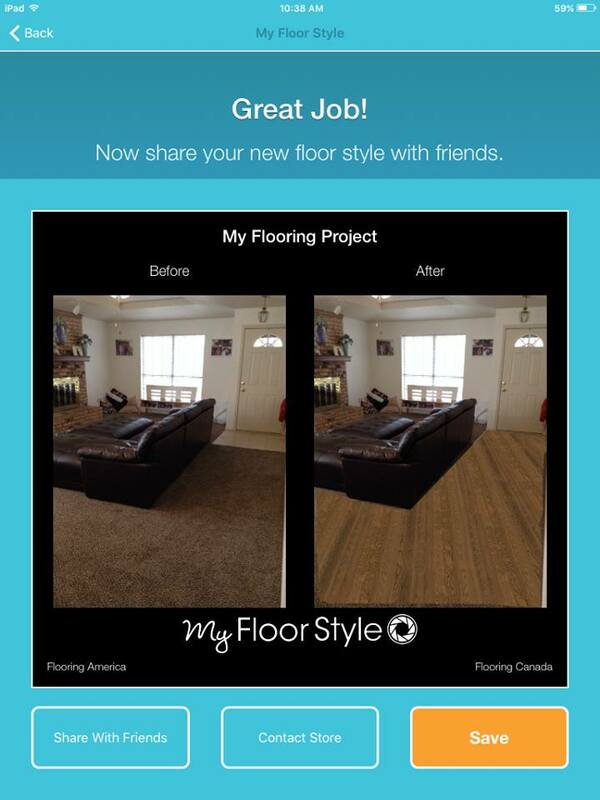 After you've used the My Floor Style app and tried out all of the flooring options, you can view before and after photos to compare and then save your project. Feel free to share with your friends and family via email or text, even social media to see what they think about your new flooring! So what do you think? Are you thinking about getting new flooring this year? 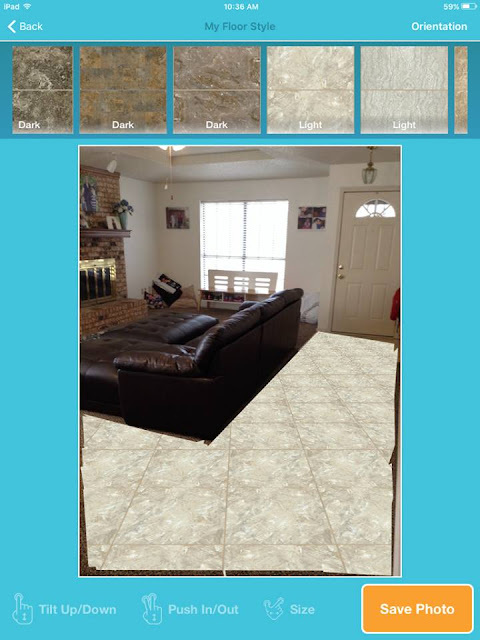 Wow this is a really neat app! Thanks for sharing.